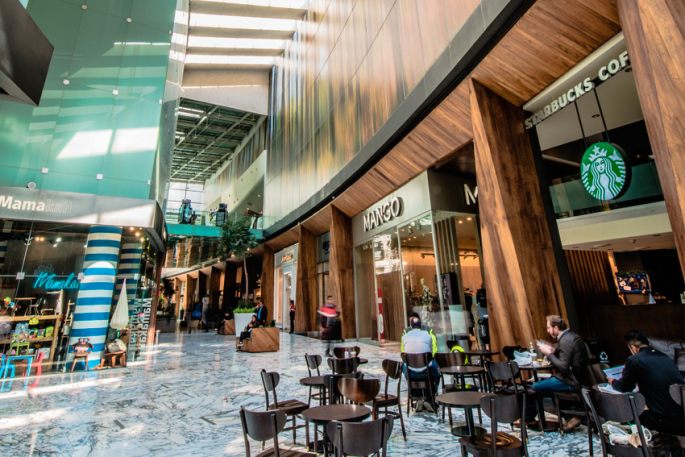 Paseo Arcos Bosques aims to ensure an architectural experience that is more like a hospitality project than a common shopping mall. 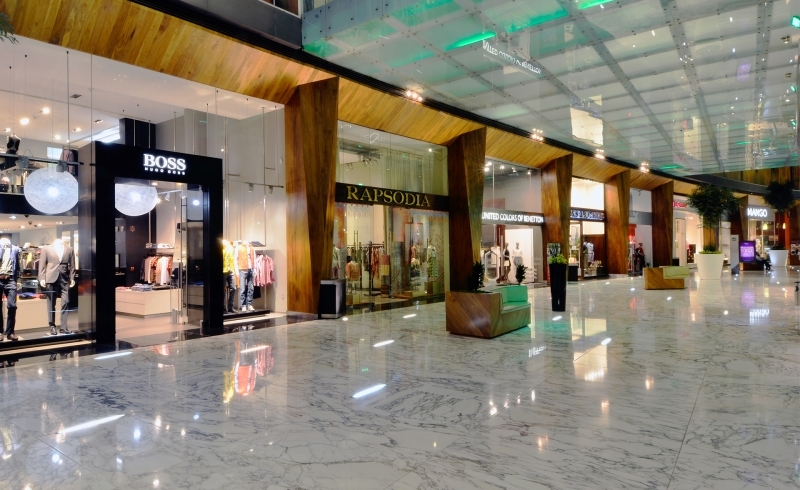 A retail environment with concierge service, Arcos offers luxury and hospitality for the sophisticated visitor. Movement and fluidity are emphasized over logos and branding. 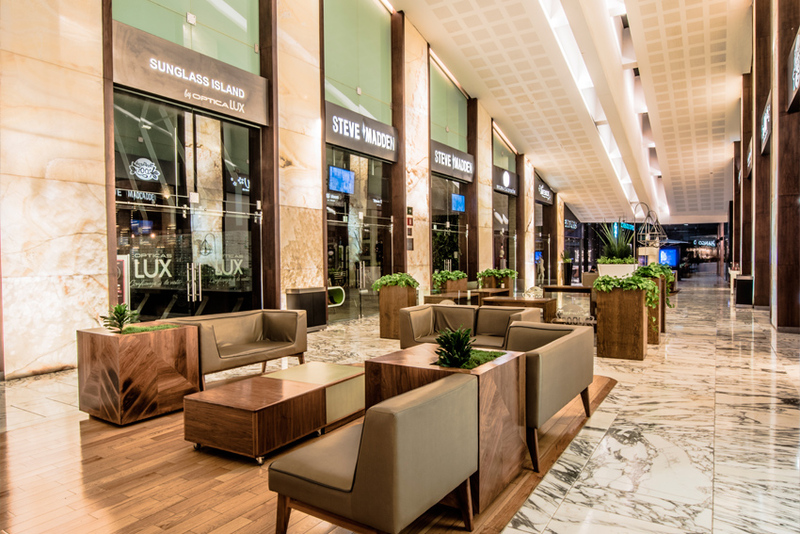 Water, light and sumptuous materials such as bronze, titanium, Ipé wood, and marble provide a setting that can be both tranquil and exhilarating. The plan is organized into six zones: lake, food court/bazaar, hotel, tower 1, rotunda, and tower 2. The zones have a strong axial organization that connects the street to the garden wall in the back of the retail space. The towers are monolithic and ground the project to the earth, tying the floor levels together vertically into a multilayered landscape. 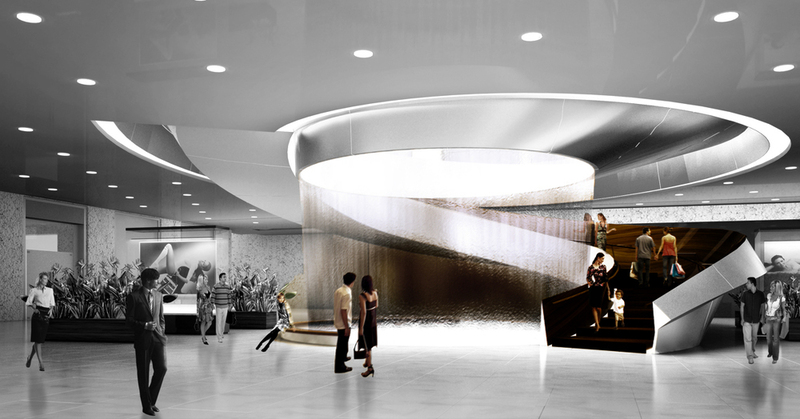 Intersecting with all the other zones, the arc expresses a motion starting from the hotel lobby and accelerates across the plan. 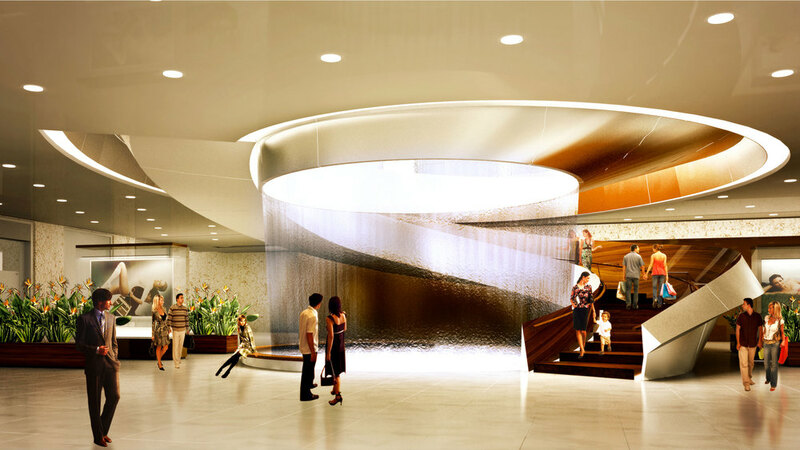 This gesture of movement is articulated by the tilted roof plains of the base building, which flattens out with the entrance canopy and ends with a dynamic rotunda shaped by layered circles and ellipses surrounding a waterfall.